Over the last decade permanent make up has become one of the most popular and requested treatments within the beauty industry. Like it or not we now live in a fast paced world, where image matters and first impressions have the ability to define our future success. Time is a precious commodity, so when we do get the opportunity to spend a much looked forward to day with our families and friends, the last thing we want to do is waste hours in front of the mirror perfecting our makeup, which is exactly why the demand for expert micropigmentation technicians is on the increase. Even when the economy has been challenged and redundancies inevitable, the requirement for skilled permanent make artists and first class treatments has remained consistent, making permanent make up a financially rewarding and flexible career opportunity. Let’s be honest, how many freelance careers do you know that could potentially earn you between £30-67,000* a year with the performance of just 2 treatments a week depending on your clinic prices? If you’re looking to retrain, become location independent, set up your own freelance business, break free from the restraints of corporate life, up-skill your knowledge, expand your salon treatment portfolio, or simply use your artistic talents every day to add an additional revenue stream to supplement your household income, then a career in as a cosmetic tattoo artist may be the solution that you have been looking for. 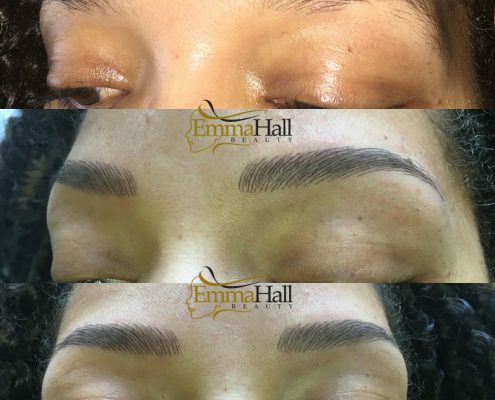 With over 12 years of extensive industry experience, hundreds of happy clients, a reputation for excellence, outstanding customer service values and a desire to share her knowledge and skills with others, Emma Hall is fast becoming one of the most popular ‘go to’ Permanent Makeup Trainers in the UK. 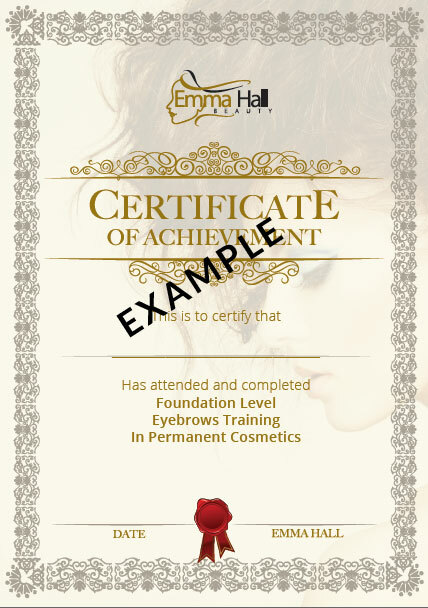 All course materials and accompanying workbooks for the ‘Emma Hall Beginners Permanent Makeup Course’ have been personally designed and handwritten by Emma herself, who also provides the onsite education and post graduate support to students who enrol on this comprehensive foundation training, which can be custom made to provide an ‘eyebrows only’ module, or a combination of eyebrows, liner and lips techniques. 40 hours of intensive home study and the successful completion of an online industry specific blood borne pathogens exam are required before onsite theory training begins. Colour correction and pigment modifications? Infection control and pain management ? After the completion of first phase of training, students are required to fine tune and practice their newly acquired skills in the comfort of their own home for a period of 2-3 weeks, before returning to embark on the second phase which is focused on the practical delivery and acquirement of technical skills. 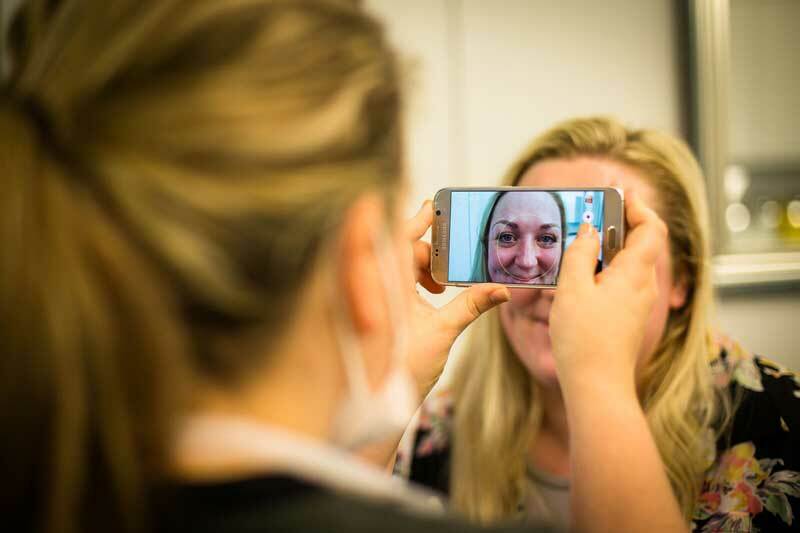 After your practical training, onsite theory paper and online blood borne pathogens exam have been completed, you will be required to carry out a number of case studies which will be assessed in detail before registering for your final summative assessments. All successful graduates will receive a certificate of achievement upon full completion of the beginners make up training programme. Graduates will also be able to gain insurance through our preferred supplier. Unlimited mentoring and post graduate telephone and Skype support is provided to every student. In addition to the above course content, training and support, there is one further additional extra that is gifted to new students who enrol on the Emma Hall Beginners PMU Training course. 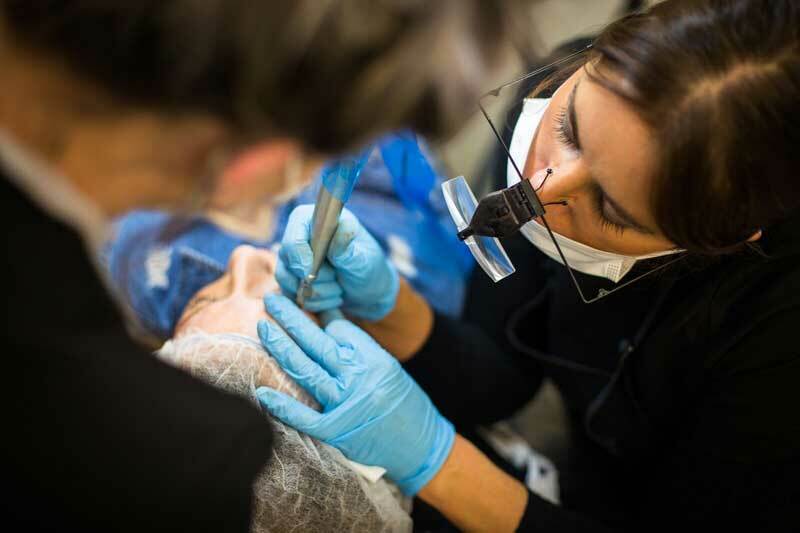 As it is important for you to have experienced a PMU treatment and also to promote the services you offer, Emma also provides each student with a complimentary micropigmentation treatment of their choice worth £400. 2-3 weeks home practice in you own spare time. 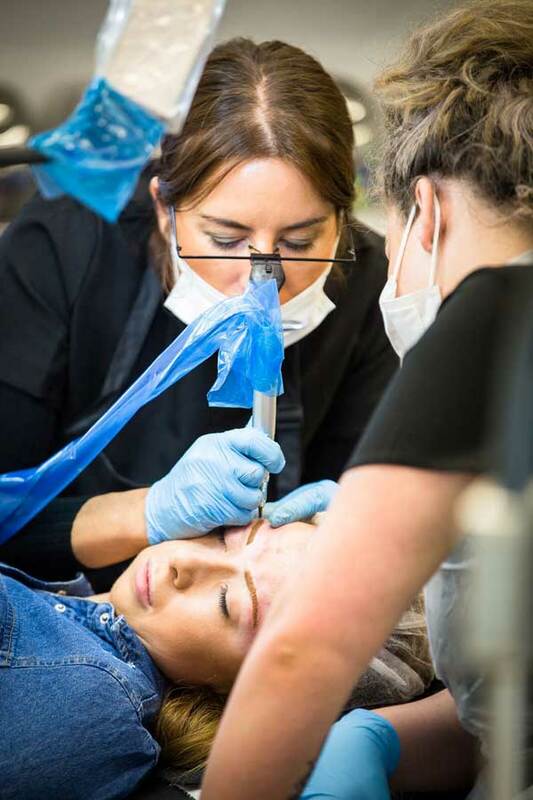 If you would like to book your permanent makeup training with Emma, please get in touch to find out about availability. Emma’s training sessions tend to fill up fast, so book now to avoid disappointment. I have recently completed my micro-pigmentation training with Emma Hall. As expected, being a beginner, I was super nervous and stressed at the thought of working on a models face. The support I received from Emma was brilliant. Emma, could sense that I was nervous and immediately put me at ease with her calming, placid manner. She showed me little tricks of the trade for beginners which massively helped me through my training and was evident in my results. I cannot recommend Emma highly enough, especially if you are someone like myself who is generally a nervous person. I will most certainly be taking advance training with Emma once I am ready. I first went to Emma to have my eyebrows tattooed after being fed up of spending anything over an hour drawing my eyebrows on and them just looking ridiculous. We were chatting and Emma mentioned that she had a training academy. I jumped at the chance to be trained by her. I have no beauty experience but knew how heartbreaking and embarrassing it can be having bad eyebrows, and knew I wanted an actual career instead of working for other people with no reward. Emma opened that door for me. The course isn’t cheap, but deffinately value for money as you can’t put a price on being trained by one of the best in the industry. During my training Emma was there at every step and answered any questions I had. It was the best decision I ever made and will be doing further training with Emma as I will not trust anyone else. You will struggle to find anything bad said about her and this is why I went to her to begin with and now class her as a friend. Much love and respect for Emma I can’t put into words. I’m now out on my own trying to build my career and have never been happier making that move. I urge anyone who is fed up of their current situation and want a change, then go to Emma. It will be the best thing you ever did and more than worth it. The day I passed my assessment was the best day of my life, make it the best day of yours.